A knowledgeable professional stylist with an understanding of modern methods can help you achieve the perfect hairstyle. 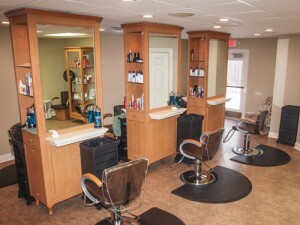 At the hair salon at Coventina Day Spa, our experienced stylists help you get the look you desire by providing quality products and services in a relaxing environment. 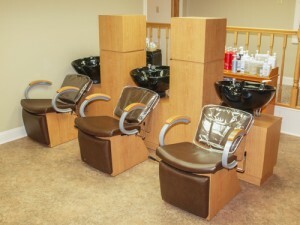 In addition to our basic hair services, we offer specialized treatments for specific hair types and styles. Ouidad™ Carve and Slice Technique ($75): Carve and Slice is the only trademarked method for cutting curly hair. It involves an angled cutting technique in which certain sections of hair are carved or sliced to help the client achieve a less bulky look and avoid that unfavorable triangle look. This method results in a natural curl pattern and is perfect even for tight or thick curls. 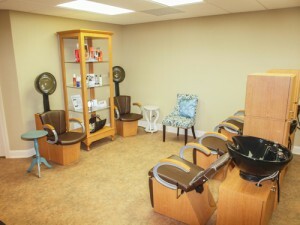 We look forward to working with you to beautify your hair and boost your confidence. If you’re in Eric County or the Erie Metro Area, contact Coventina Day Spa today by calling 814.796.9038 to schedule your appointment!